Some housekeeping might be in order, too, as I’m sure I’ll never read some of those books anyway. So anyway, good luck with everything you plan on doing. Oh and yes to housekeeping too! I’m going to have to clean my shelves every now and then and give away books I won’t reread anymore. It’s a good thing other people in our book club are ready receivers of books. :D I’m not quite sure if I can let go of books I haven’t read yet and will never read, but that’s an idea. Hm. Little Women is a great classic. I hope you love it! Also, with audiobooks and such I totally think you will reach your goal of over 125 books. Yay thanks! You may be the only one who participates, haha. :D I’ll have the first Required Reading post up soon. 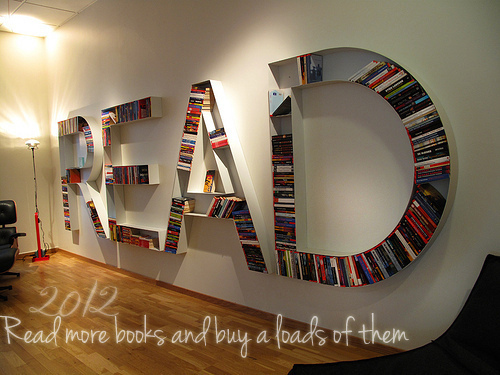 Anyway, good luck on your other goals, especially the 2-digit TBR pile and the borrow instead of buy thing!